Copyrights (c)Nira Dabush.May we all have a splendid day ! Thanks for viewing and commenting. 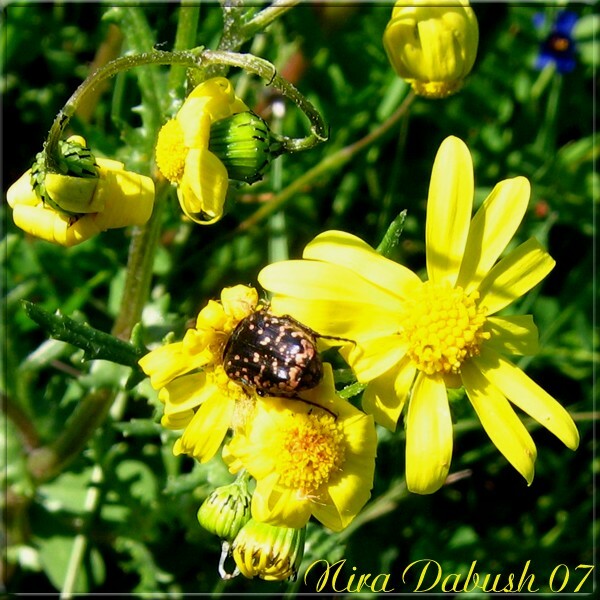 Charming and uplifting, Nira.Celebration of Sunshines to this awesome beetle.